No. 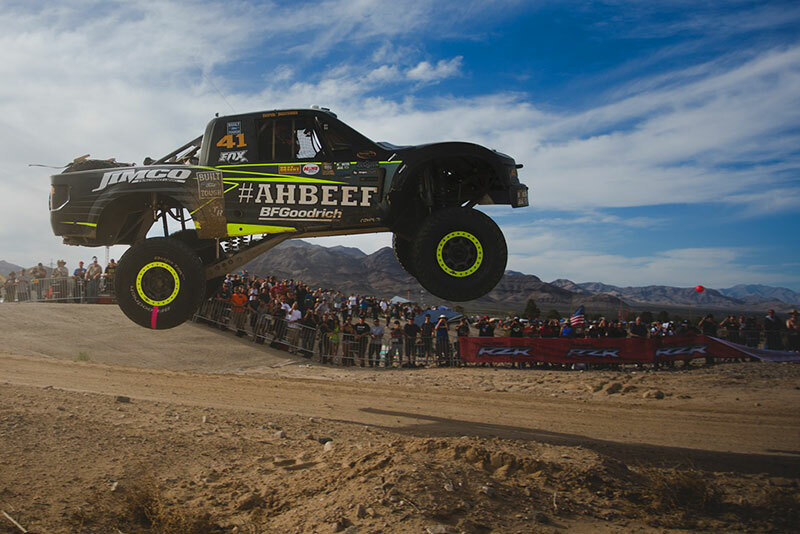 41 Trick Truck driver Justin Lofton took the overall win in the 2015 Polaris RZR Mint 400, presented by General Tire, based on unofficial time. Tracking issues had fans uncertain who would be first across the finish line until Lofton, in his brand new Jimco truck, cleared the Red Bull Jump at the race’s end. 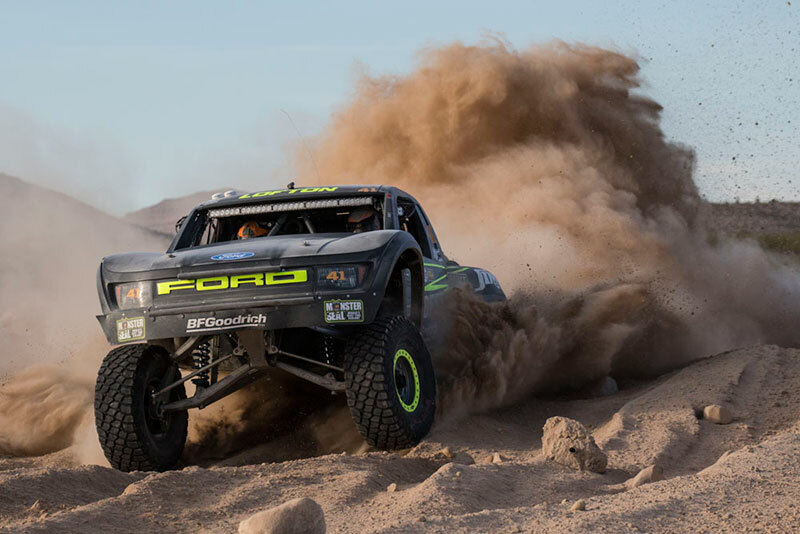 Lofton was followed across the finish line by Robby Gordon in the No. 77 Trick Truck. Gordon lost time on a tire change when the crew rounded off a couple of lug nuts. The afternoon Unlimited race was stopped for about an hour following a multi-vehicle accident near RM32 that sent two racers to the hospital. 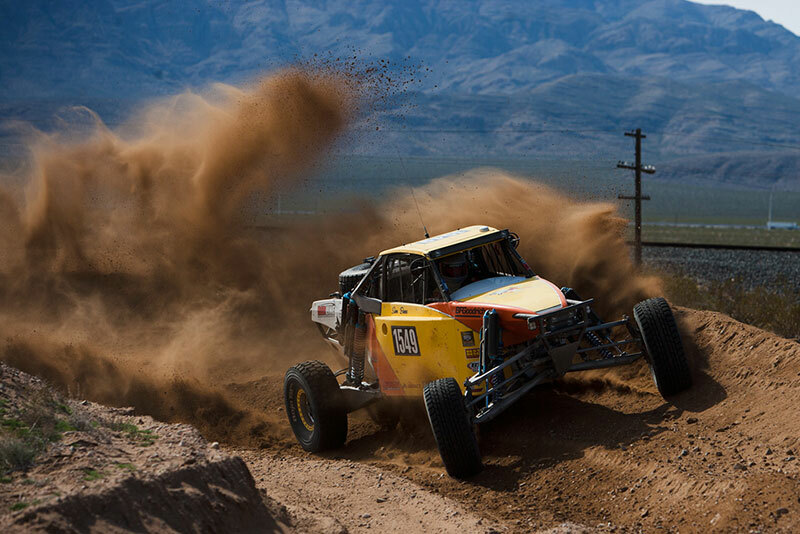 The racers, whose names were not released, were taken to a local hospital and vehicles were removed from the course before racing resumed at 4:45 p.m.
Sam Berri took top honors in the 1500 Class on unofficial time, driving the brand new Jimco Class 1. “This is for everyone involved in building the car.” I’m out here to give these younguns a run for their money,” said the 62 year old. Full official results will be released soon.